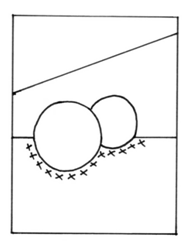 Our challenge this month is to simply use the sketch below to make a Christmas card design. Remember to use at least one product we sell to be eligible for the £15 prize. Deadline 10pm 22nd November. This month we are looking ahead to Chrsitmas and thinking handmade gifts, pictures, gift tags and packaging - just NO CARDS ALLOWED. Remember to play with at LEAST ONE PRODUCT WE SELL IN STORE. If you don't follow the rules, you can't win the £15 prize. Challenge closes at 10pm on Monday 26th October so you have 3 full weeks to play. 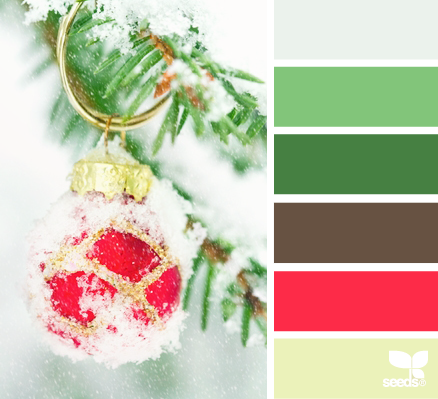 It's back to colour combos again this month for our challenge. Pick a minimum of 3 colours from any one of the 3 images above and create a card, scrapbook or off the paper project using them with at LEAST ONE PRODUCT WE SELL IN STORE. If you don't follow the rules, you can't win the £15 prize. Challenge closes at 10pm on Tuesday 22nd August so you have 3 full weeks to play. This month we have a simple sketch for you to follow - feel free to flip it, twist it, go layers or not and change the circles to whatever shape you like. We just need to see that the sketch was your jumping off point and remember - if you don't use a product we sell in store than you won't be eligible for the £15 prize. Closes at 10pm on Sunday 23rd August. 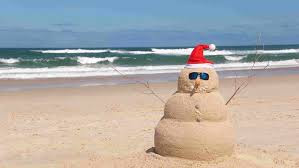 CHRISTMAS IN JULY CHALLENGE WITH A TWIST! 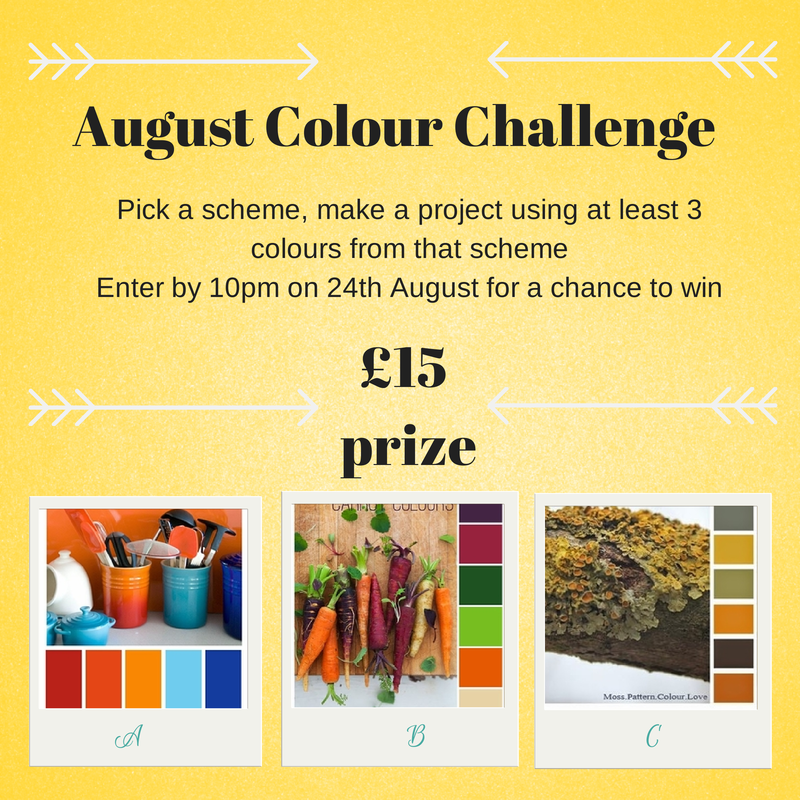 We're back on colours this month - you have 3 options to choose from - just use at least 3 colours from one of the palettes below and make a project using at least one product we sell to be eligible for this months £15 prize. You have until 10pm on 22nd May to link up your entry. 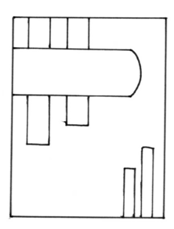 We need to see that you followed the sketch but you can be loose in the interpreation. Feel free to combine the sketch with other challenges too if you like. Do remember you must use at least one product we sell and link to the blog to be eligible for the £15 prize. You have until 10pm on 24th May to link up your entry. 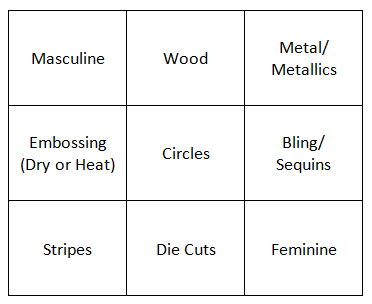 We have a nice easy theme this month - we're playing tic-tac-toe - just pick a row or a column and create a project using the three items or themes in the boxes! Do remember you must use at least one product we sell to be eligible for the £15 prize. You have until 10pm on 22nd April to link up your entry. 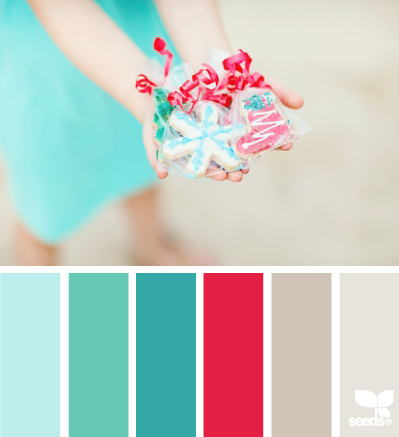 Just pick a mini of 3 colours from any of the 3 options below. Feel free to combine the colours with other challenges too if you like. Do remember you must use at least one product we sell to be eligible for the £15 prize. You have until 10pm on 22nd March to link up your entry. This month we have an easy sketch for you to follow. 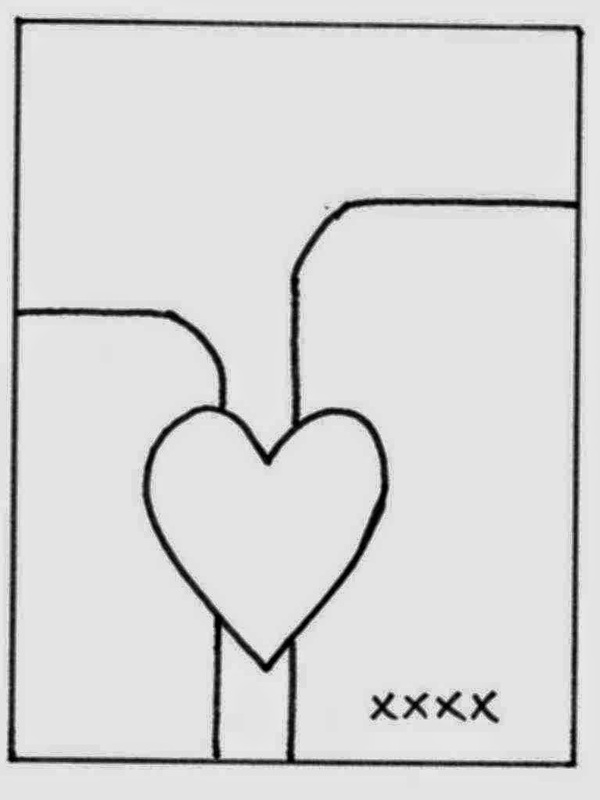 We need to see that you followed the sketch but you don't have to use a heart - any shape goes. Feel free to combine the sketch with other challenges too if you like. Do remember you must use at least one product we sell to be eligible for the £15 prize. You have until 10pm on 22nd February to link up your entry. Just don't forget to use at least one product that we sell in store to be eligible for the £15 prize and add your link before the challenge closes at 10pm on Monday 26th January 2015. This month we would like you to try something new - any technique you've seen but never dared try out, or if you can't think of anything new, go back and try something you've not done for ages - let's see what trends we can bring back to the fore! You must use at least one product from the range we sell in Store to qualify to enter. 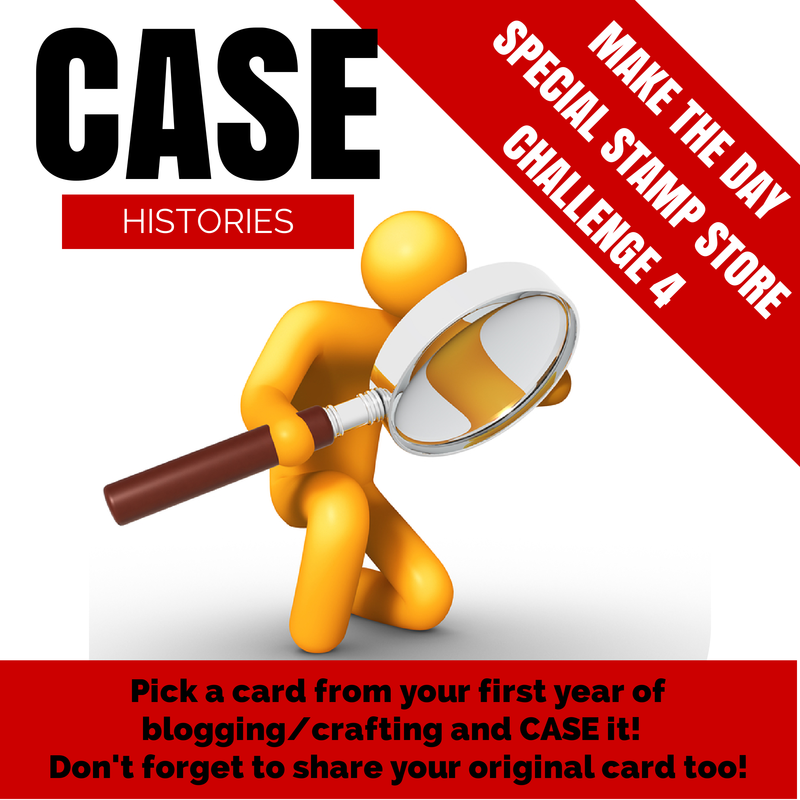 There is a £15 store voucher up for grabs again this month for what we hope you'll find a fun challenge. 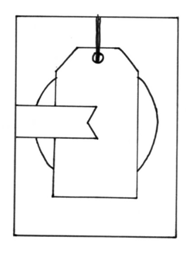 YOU MUST USE AT LEAST ONE PRODUCT FROM THE RANGE OF GOODS WE SELL TO QUALIFY AND PUT A LINK TO THE CHALLENGE IN YOUR BLOG POST. 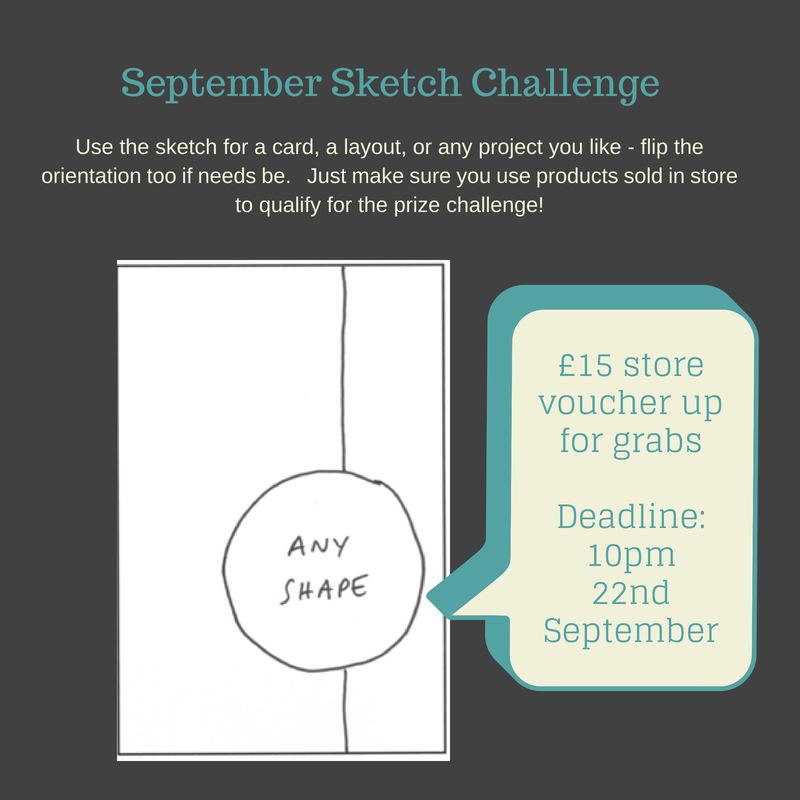 There is a £15 store voucher up for grabs again this month and all you have to do is make a project based on the sketch above. You can make any kind of project you like and can flip the sketch in any rotation as long as we can see the sketch in the final design. 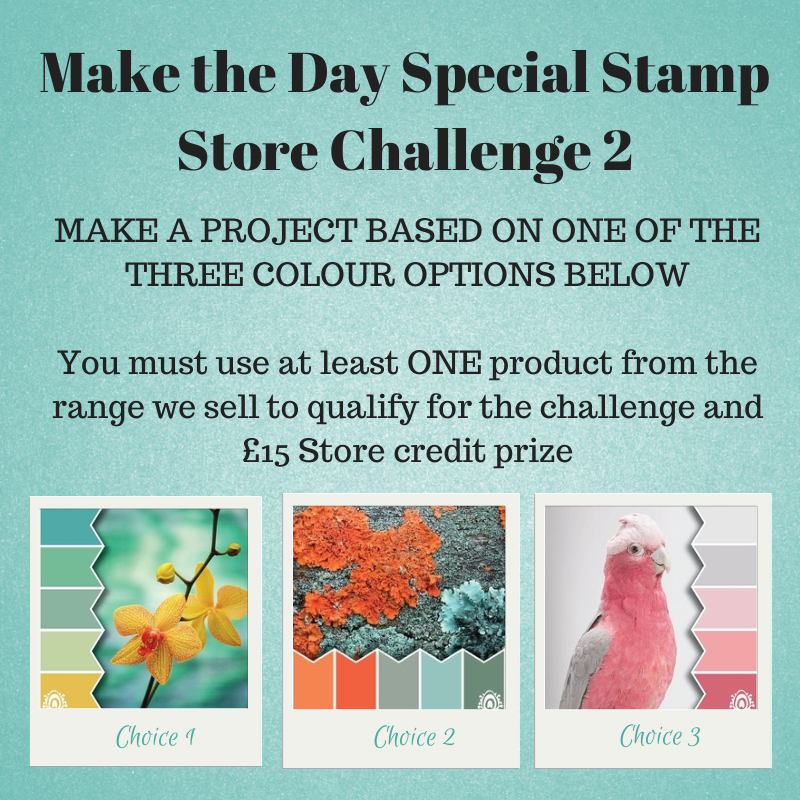 There is a £15 store voucher up for grabs again this month and all you have to do is make a project based on one of the three colour options and add your link below. 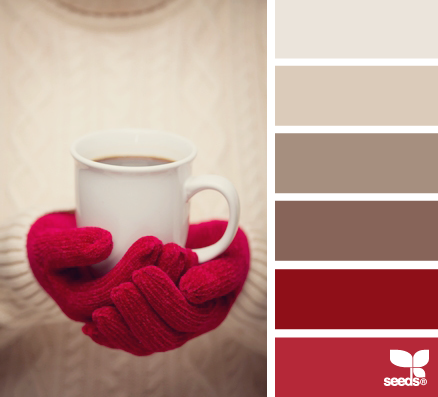 You don't need to use all 5 colours but we do need to see the colours in your project. 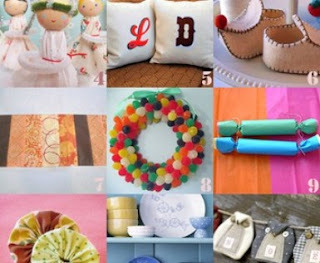 You can add neutrals too (white, black and kraft).